Part of my personal aims for the June Challenge was to try to step out of my comfort zone a little bit and try something new. For me, one of those things was to try boning. I’d never tried to sew the bodice of a dress with boning. 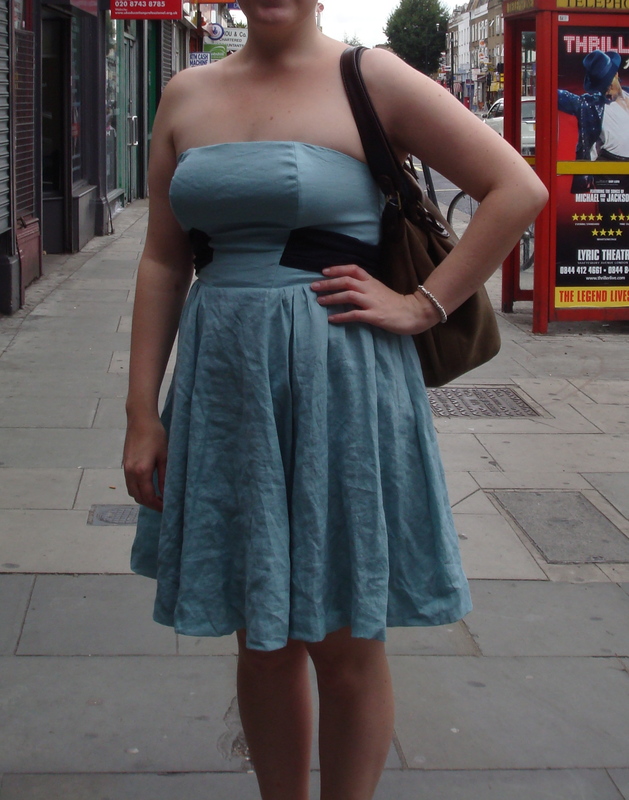 One of the options for the Colette patterns Chantilly dress is to insert boning – and it’s always nice to have a bit of structure in a strapless dress especially if like me, you err more on the voluptuous side. 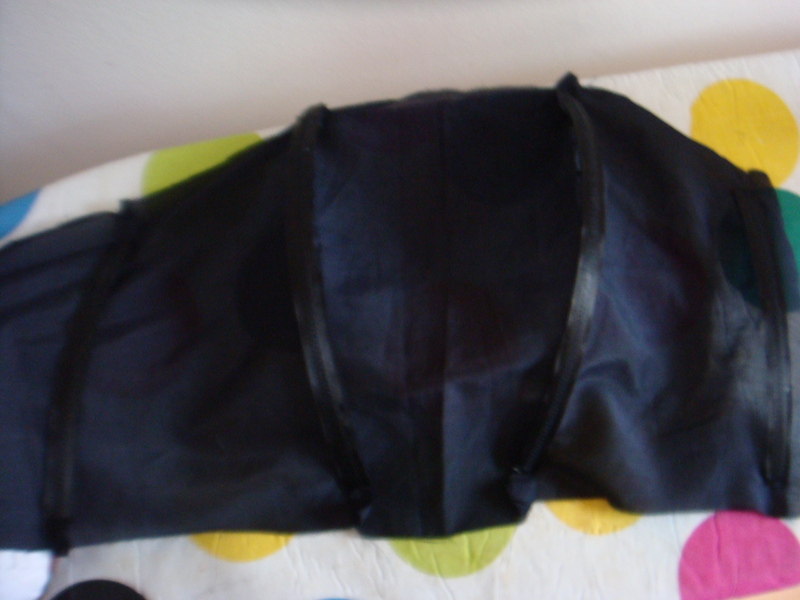 So using my Chantilly dress bodice, I’m going to show you how to insert boning! More precisely Rigilene boning. When cutting your boning, make sure you that you cut it to the size of your seam minus the seam allowance and an extra 2mm.This is for comfort, you do not want to feel those bones poking through! You want to ‘seal’ the end of your boning, so it is more comfortable to wear and it does not dig into you – there are three options for this – buying ‘end caps’, sealing the end of the rigilene with a flame or making your own ‘end cap’ by sewing a small square of bias binding or spare fabric around the ends. Personally I prefer making my own ‘end caps’ as I have never seen any premade ones on sale and it’s pretty easy to make your own. It’s important to mould the rigilene to the shape of your body. Rigilene is sold coiled up into a roll and as a result when you unravel it, it tends to curve. Using a low to medium heat on your iron, flatten the rigilene for pieces that will go on your side seams and your back seams. (Don’t press for too long as the rigilene will then quickly bend the other way!) When shaping your rigilene for the bust, first flatten it with your iron then using a tailor’s ham, pin the rigilene onto it and try and press it almost into an ‘s’ shape. So you are shaping the top part to go over your bust and the bottom part is where it will go in. Normally you would attach rigilene to something that is lined, so that you don’t have the rigilene being uncomfortable next to your skin. You would insert the rigilene into the seam allowances or diagonally across in between the seams. You can use the sew in type with satin, plain rigilene that is not covered or inserted into boning channels. Make sure that whatever lining you use has some strength to it, if it is a delicate silk or a flimsy cotton lawn, make sure it is interfaced. If the material does not have strength/is not particularly tightly woven, it will be useless to put boning into it. 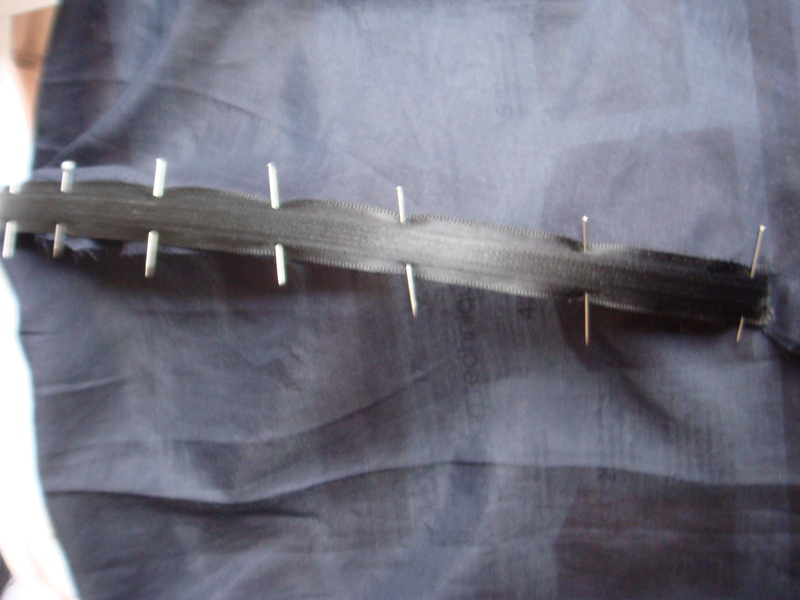 Using a straight stitch, stitch down one side of the rigilene boning and then the other. 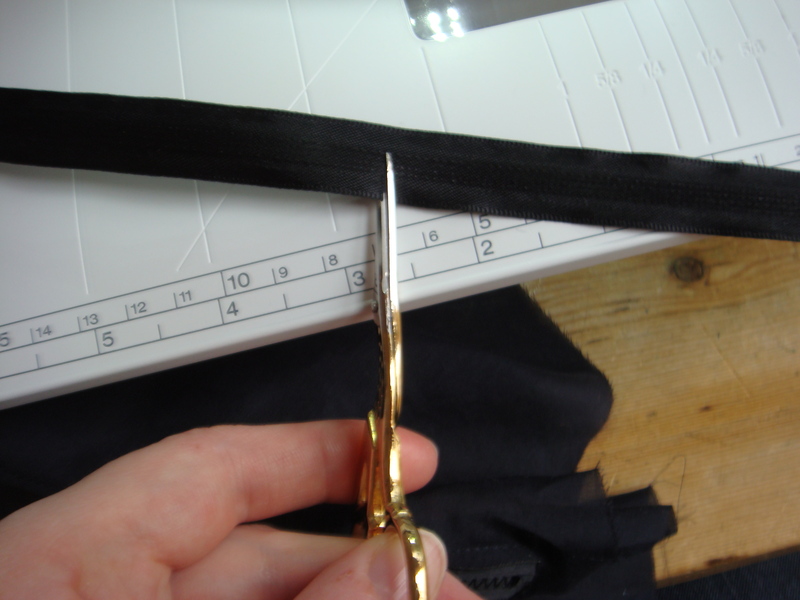 Ensure that you are sewing onto your seam allowance and not through to the main part of the fabric. This may require a bit of jiggling about! This is important unless you want visible boning channels! When sewing the rigilene in, you want to ensure that you try to maintain the curves that you shaped into your rigilene with the iron. It actually seems a lot more complicated than it really is, but it isn’t!